Children Play Soccer For Fun!!!! CONGRATULATIONS TO THE FLASH ON WINNING THE Ultimate Spring Kick-Off Cup March 2008!! Congratulations To The Flash on Beating The Manhattan Kickers 2-1 In Our Final Maps League Game!! 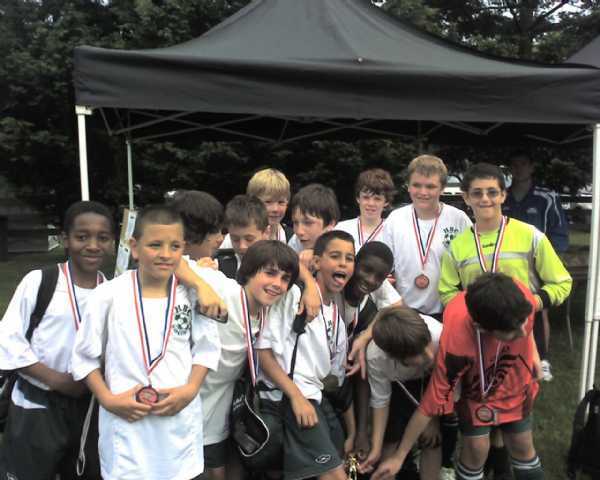 IF YOU ARE INTERESTED IN PLAYING ON OUR EXPANDED US CLUB SOCCER ROSTER PLEASE CALL TOM @631-495-0253------CHECK THE BULLETIN BOARD FOR NEXT PRACTICE------CONGRATULATIONS TO THE FLASH ON WINNING THE 2009 MASSAPEQUA MEMORIAL DAY TOURNAMENT!! Want To Read Or Leave A Message For Coach, Player, Or Parent?... Click On Guest Book, Above! Welcome To The HBC FLASH Web Site! Boys U-13 Travel Team From The HBC Soccer Club! The FLASH Is Excited & Look Forward To Be Playing This Fall In Boys U-13 D1 - We Wish All The Suffolk Division 1 Teams A Healthy And Successful Season.